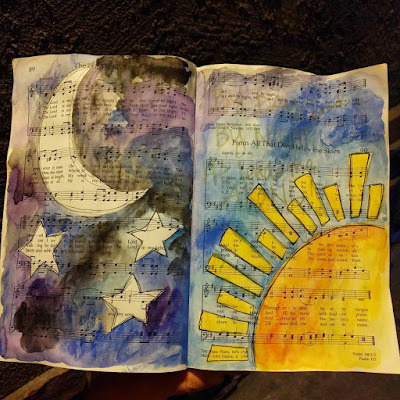 Over the past 2.5 years, I've spent some time creating art every single day. 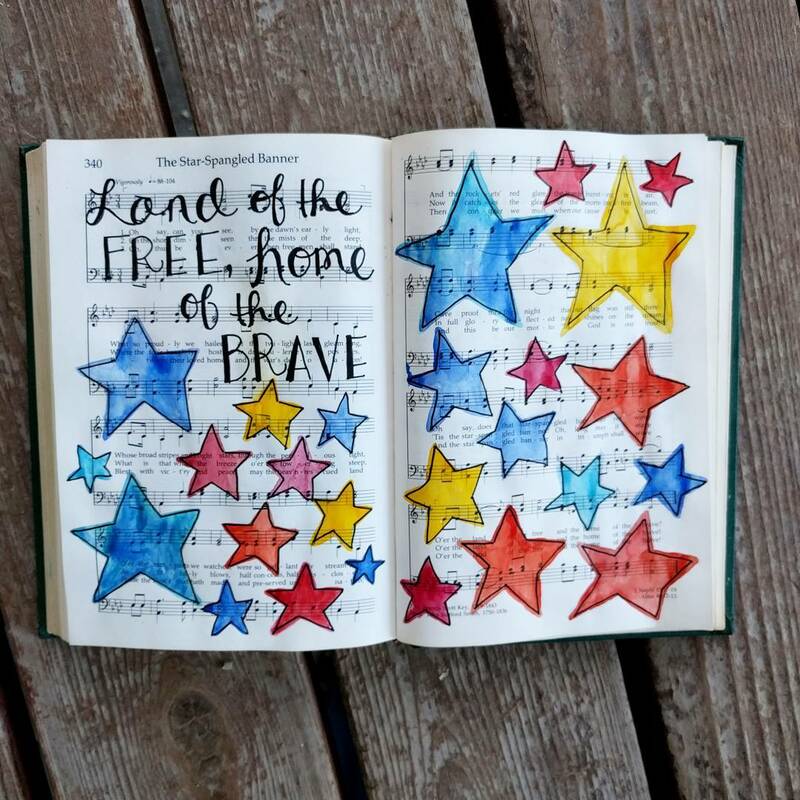 Some days I have more time than others, but I try to fit in at least one sketchbook page each day. 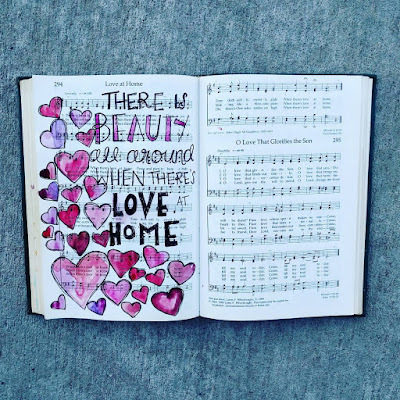 (You can follow along on Instagram to see my daily pages.) 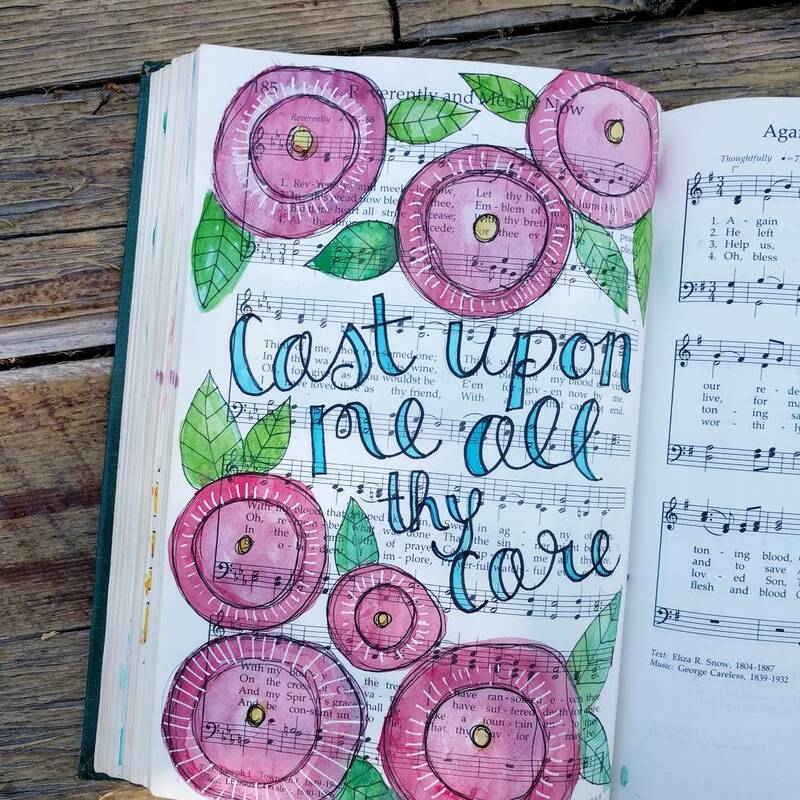 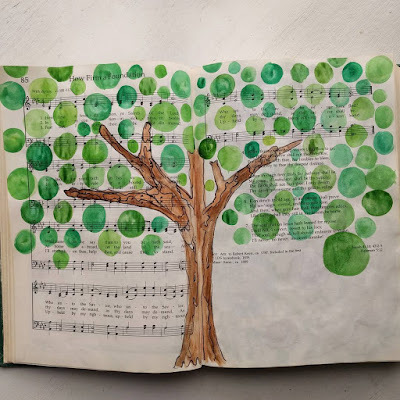 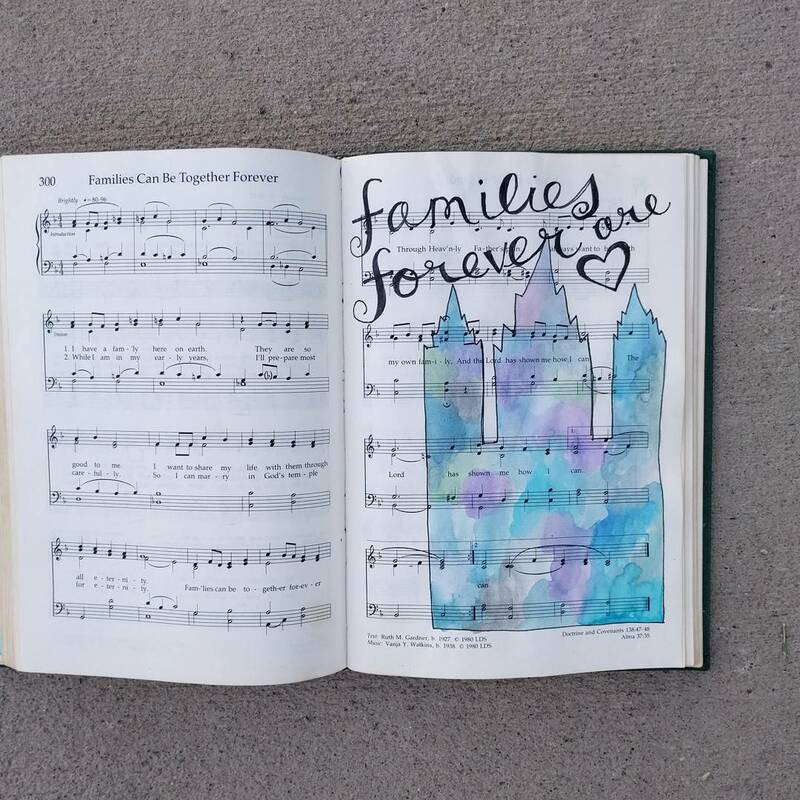 One of my favorite ongoing projects has been working in an altered hymnbook that I bought used at a thrift store for a couple of dollars. I try to paint in it each Sunday. 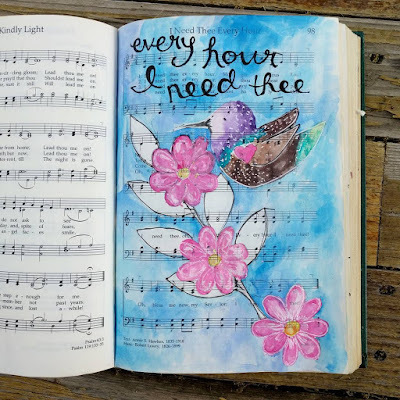 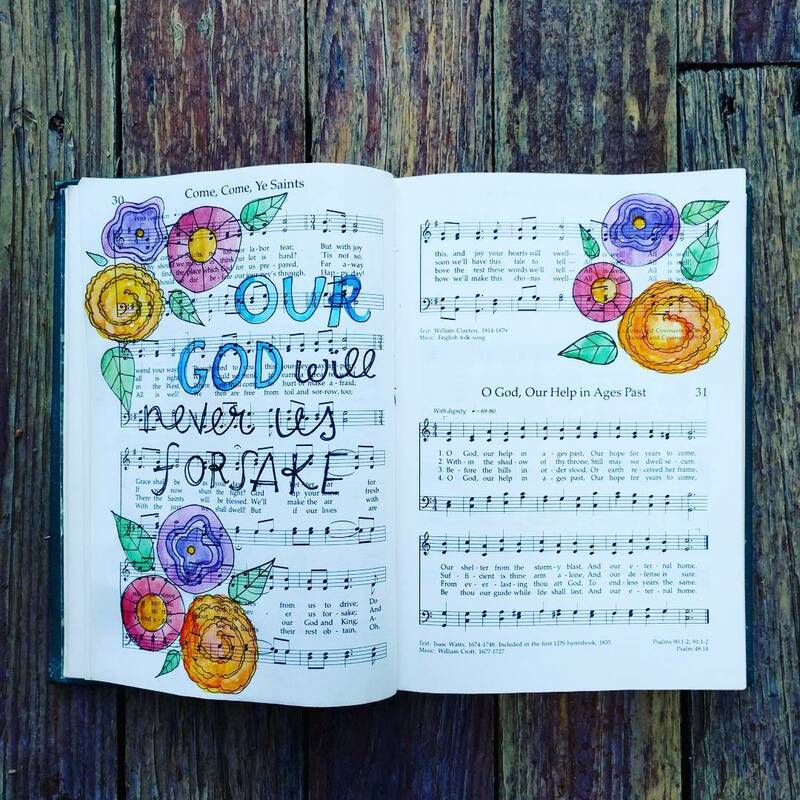 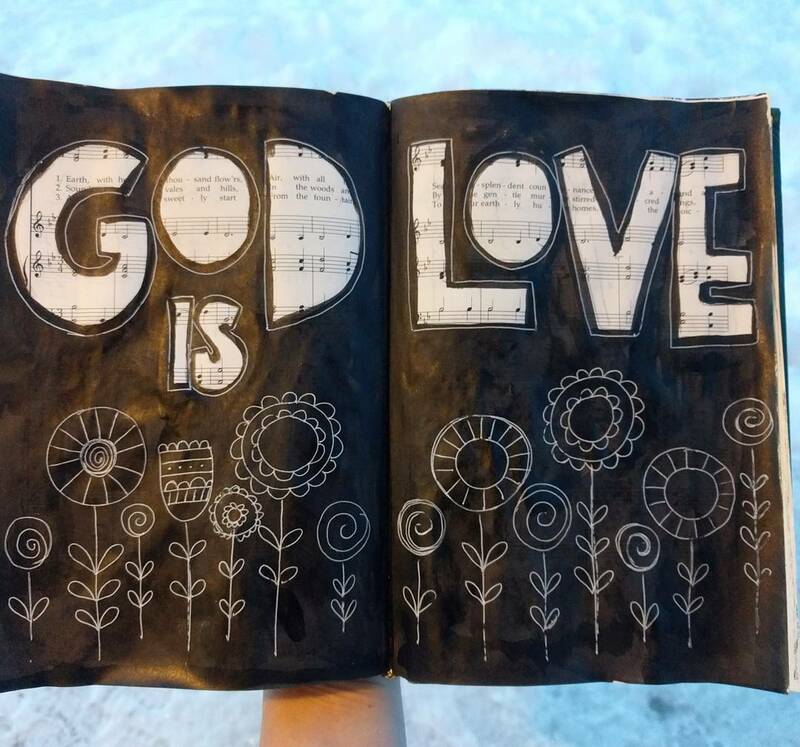 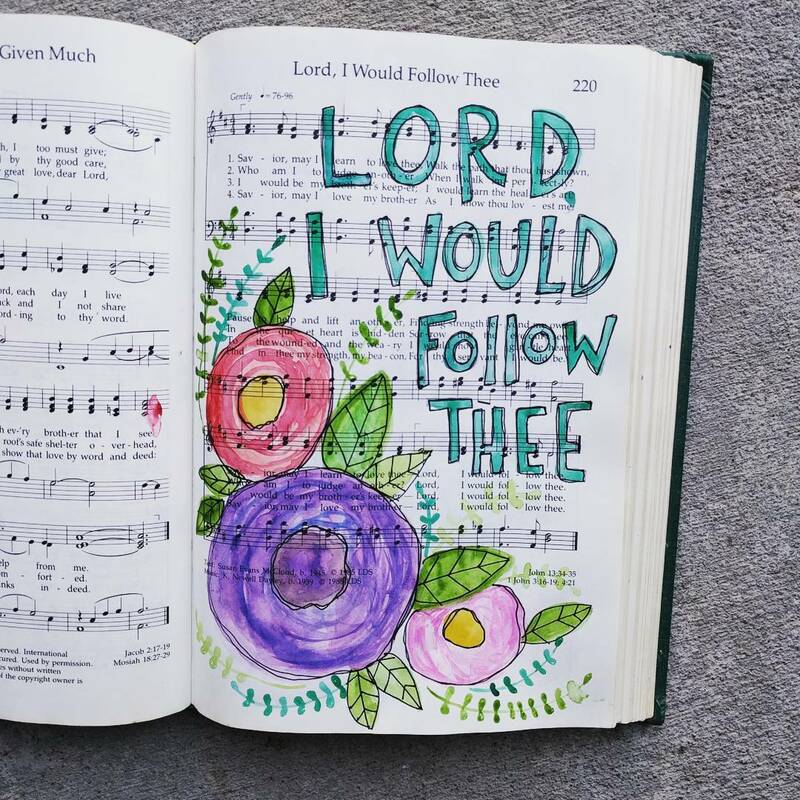 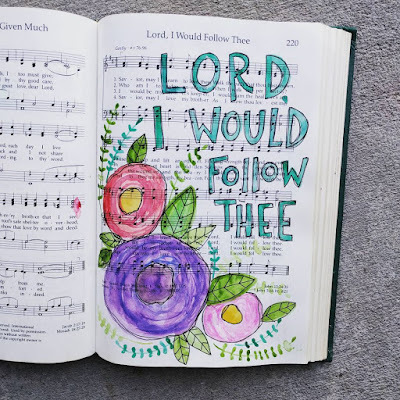 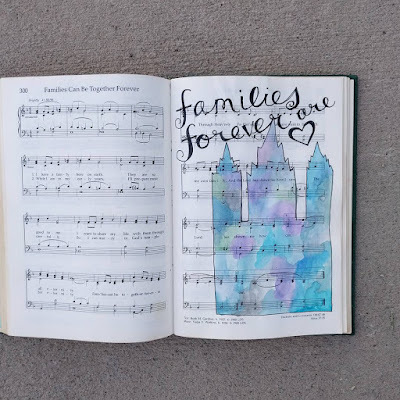 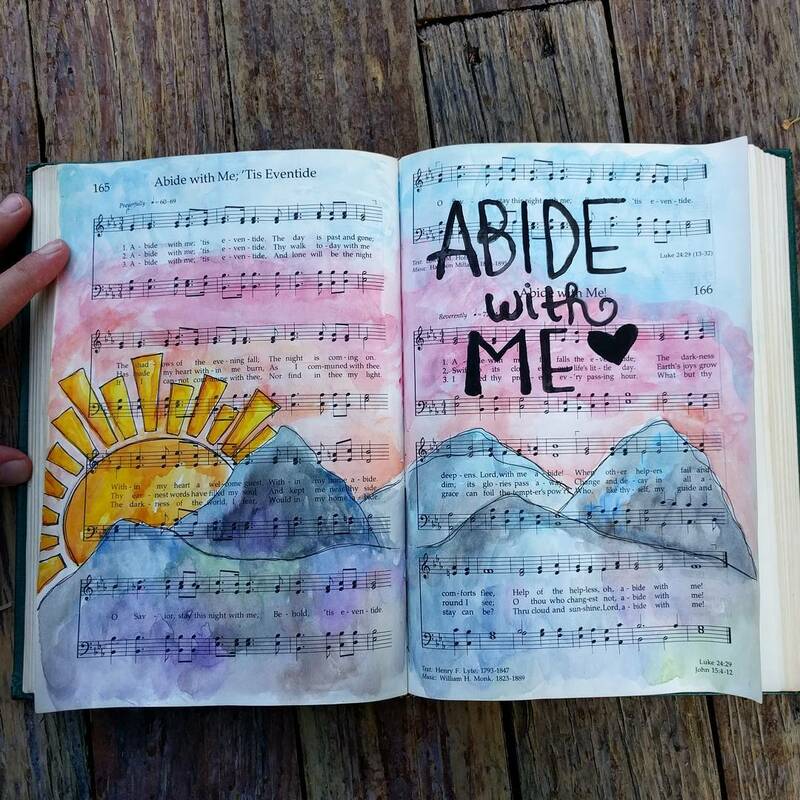 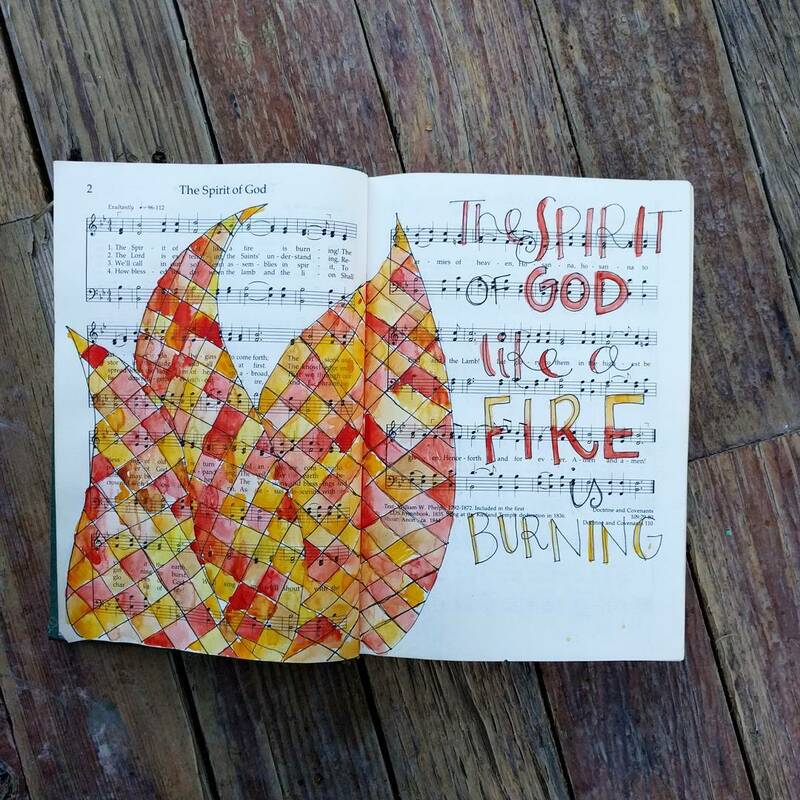 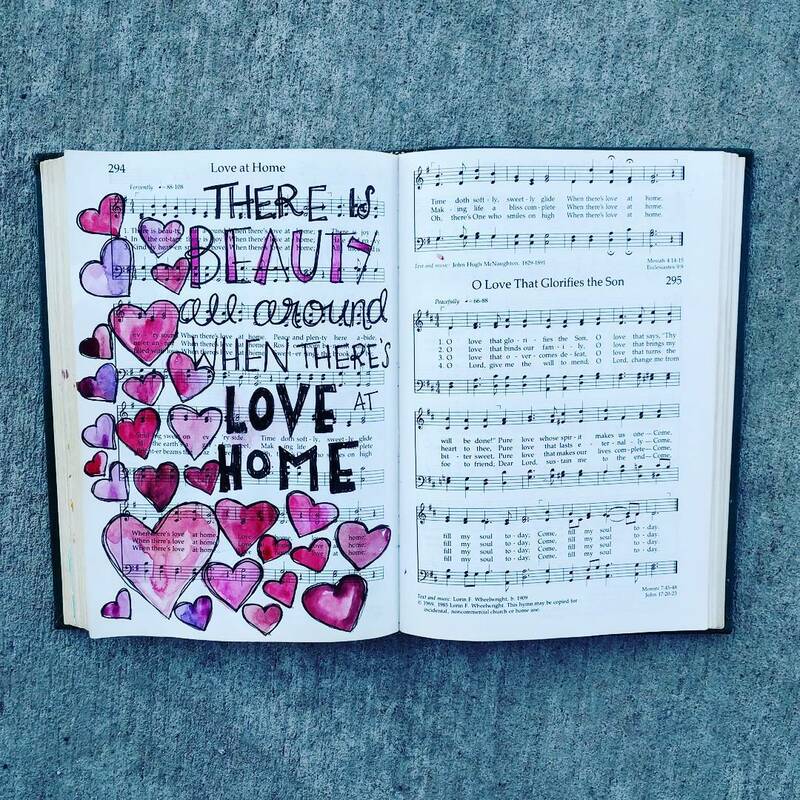 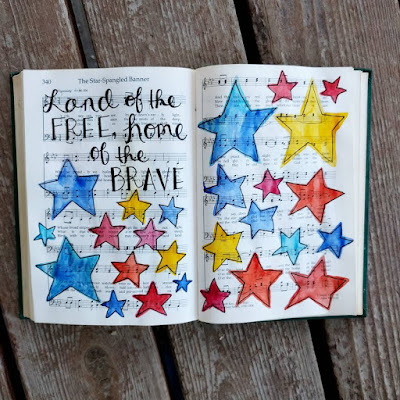 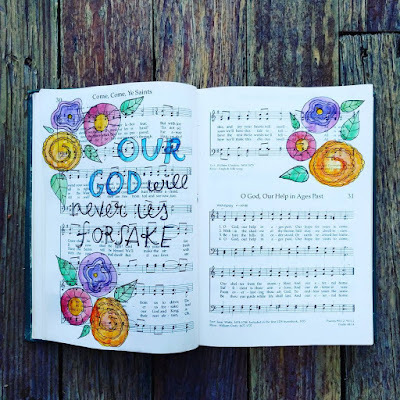 Often the hymn I paint is one we sang at church that day or one that has been running through my mind recently. I don't typically use gesso, I'm just careful about how much water I apply. 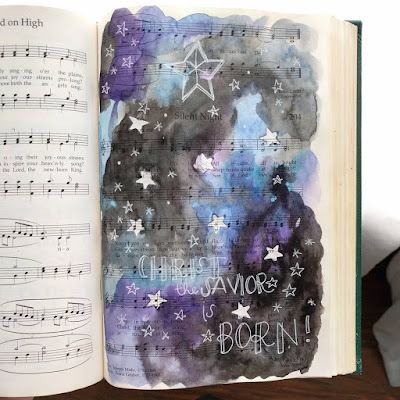 My most-often used supplies are these Prang Watercolors (a really great, inexpensive option) or Winsor Newton watercolors (more expensive, but really lovely), micron pens and I love my Signo Uniball White gel pen. Music is powerful and I love the chance to ponder lyrics as I paint.